Molly is a new drug that is out. Kids & parents beware. It’s out, it’s new and it’s no bueno. But, it’s not really a new drug…its just ecstasy. Craigslist posts show that you can get, meet, enjoy & be with Molly. My Molly is a Donut. But no, this is no ordinary donut. This is a made-from-scratch piece of goodness. My own little bit of ecstasy. My Own Little Molly. Bennett’s Fresh Roast is located in Ft. Myers, near the beach. We first discovered this online and heard rave reviews about their donuts & fresh roasted coffee. On the 4th, we ventured and tried it for the first time. I opted not to review it at that time because we tried so many different items. I decided to wait and review it on my second try. Which, just so happened to come on Labor Day. Bennett’s is an awesome hole-in-the-wall that is a locals favorite. And my favorite, are the Peanut Butter Chocolate Donuts. I received my Peanut Butter Chocolate Donut and admired its appearance. 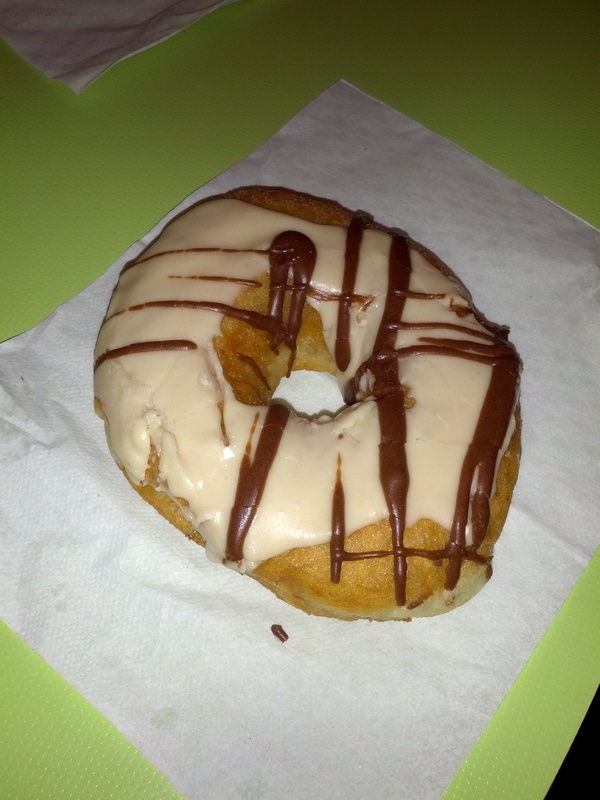 This is a basic plain donut that has a glaze of peanut butter & chocolate. The donut itself is unbelievably soft & delicate. The texture is like a piece of heaven mixed with a cloud. It’s just simply divine and almost unbelievable. Can a donut really be this good? The donut itself is not sweet and the texture just melts in your mouth. The peanut butter & chocolate coating the top of the donut, is sweet. Not too sweet but it is certainly sweet. I find the primary flavor to be peanut butter and, although the chocolate takes a back seat, the donut is in perfect harmony. I easily finished my first donut and dug right into my second. 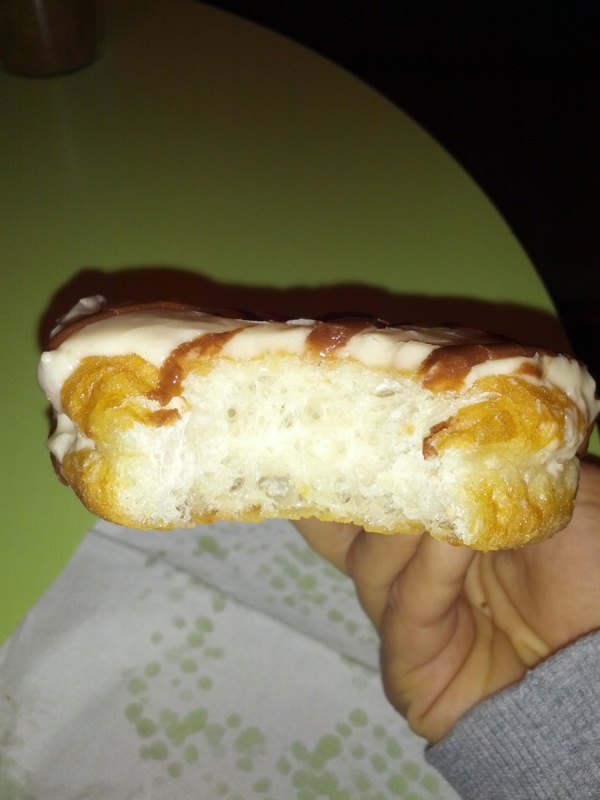 The absolute amazing texture of the donut, combined with the sweet & tasty frosting, makes for one phenomenal product. You are able to watch them create the donuts as you are there and you know you are getting something that was literally born only hours before. I could go on and on about how awesome Bennett’s is but, you really need to go and try it for yourself. Perhaps for you, like me, you will find them to be just divine…and chances are, you will. All I know is that Bennett’s Donuts, in particular the Peanut Butter Chocolate Donuts, are My Own Little Molly.